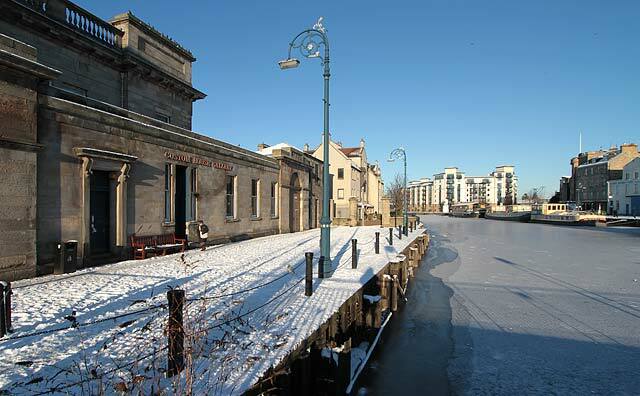 This view looks down on Custom House Gallery at Sandport on the left (west) bank of the Water of Leith. There are two attractive cast iron lamp posts beside the Water of Leith. In the distance is the housing at Tower Place close to the entrance to Leith Docks, and three barges moored beside The Shore.